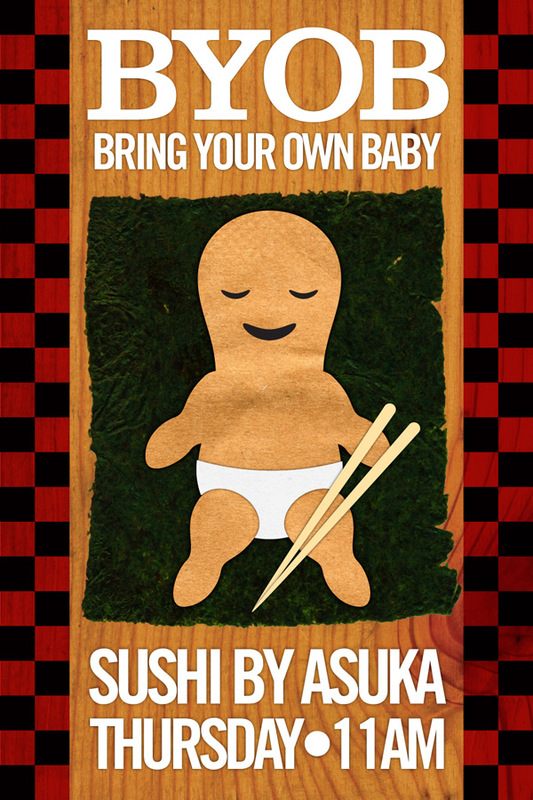 For BYOB(aby) screenings we partner with Asuka to provide sushi rolls for your pleasure. Please choose from one of the following four options. Sushi can be ordered when you arrive at the theater. We will order sushi at 11am promptly. OPTION A: Oshkosh Roll, Cucumber Roll, Avocado Roll, Vegetable Roll. OPTION B: Yellowtail Roll, Salmon Sushi (3pc), Tuna Sushi (2pc). OPTION C: Rock n Roll, Crunchy Roll, California Roll. OPTION D: Kenner Roll, Metairie Roll.